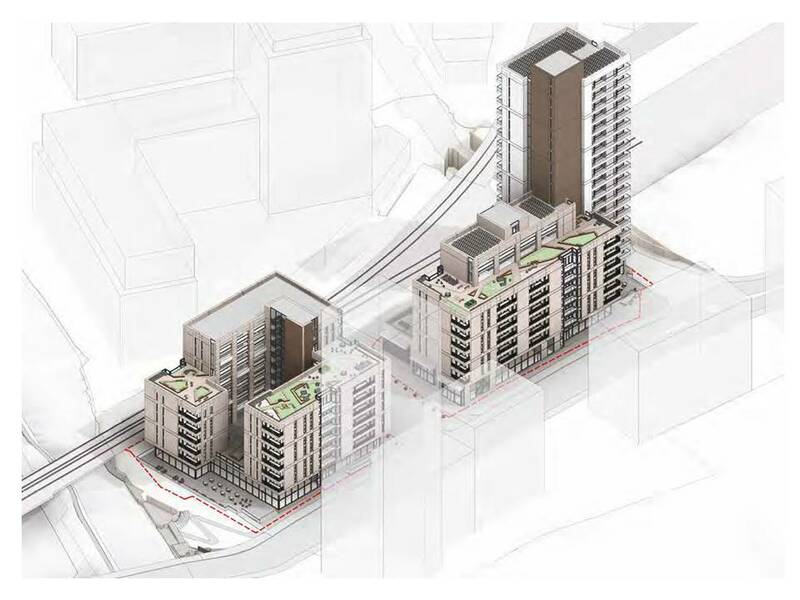 Mitre Yard development – will OPDC respect Hammersmith & Fulham views? The planning application for the development pictured below is due to be considered by the OPDC Planning Committee on 12th July 2017. The scheme is at 104-8 Scrubs lane, opposite the recently approved developments at ‘North Kensington Gate. Hammersmith & Fulham Council’s Planning and Development Control Committee considered the application at its meeting on June 12th. The committee agreed with officer advice that the proposed scheme is premature, and should await future decisions on a new road layout for Scrubs Lane. The site is bisected by the private access road to the EMR and Powerday waste sites. Many HGV waste vehicles enter and exit this road every day, often queuing up in Scrubs Lane to do so and bringing traffic in both directions to a halt. It is hard to see how a development of apartments at this location could be successful until an alternative access road is built. EMR do not see this happening anytime soon. The second of the two ‘observations’ from Hammersmith & Fulham Council is that the proposed affordable housing offer is not acceptable. The developers are proposing flats at ‘discounted market rent’, an option which many London councils see as unaffordable to residents on median incomes. Although the developers have improved their offer in latest negotiations with OPDC planners, LBHF councillors still see it as inadequate and are looking for flats at London Living Rent to be part of the S106 package. The OPDC has published the independent advice its has received from BNP Paribas, on the financial viability of the proposed scheme. Such transparency is welcome, and reflects the Mayor of London’s policy of greater openness on financial viability assessments. Anyone interested in the ‘dark arts’ of how developers and their consultants use financial viability assessments, and the data that goes into them, to minimise the level of affordable housing that a scheme can support will find this document and informative read. See at Mitre Yard BNP Paribas. Author henrypPosted on June 13, 2017 Leave a comment on Mitre Yard development – will OPDC respect Hammersmith & Fulham views?